The calendar says that fall is officially here, but you might not be ready to fully embrace sweater weather if your local weather is still holding on to summer. In this blog post we want to share some project inspiration for accessories that would be simply fabulous when paired with Red Barn Yarns®. Barley, a tincanknits design, has sizing for babies through adults. The simple change in this hat’s stitch texture is pleasing especially when working with hand-painted yarns such as Red Barn Yarn® Worsted. The Campside shawl, a free pattern from Pompom Quarterly calls for a DK weight yarn, we would guide you to Red Barn Yarn® Powder River, our Raw Wool & Silk and our newest yarn that you could help us name! Keep your hands warm on your morning walks or when you’re working online with the Autumn in the Ozarks fingerless mitts. Any of our DK weight yarns would be a great choice! 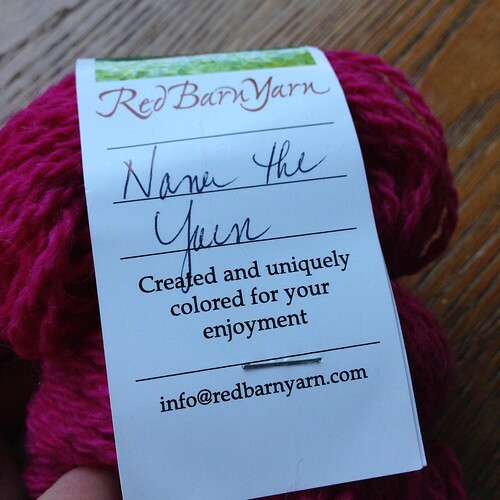 Be sure to keep an eye our Facebook page and Ravelry group for more as-it-happens Name the Yarn tour information!